Track your fitness with our new smart system! One card does it all! Acorns Health & Fitness is an open plan gym and health facility based in the Medway towns, Kent. Here at Acorns we have a variety of exercise machines and equipment to suit all in our large, open plan gym area. Each area has its own room to make the gym less intimidating and more welcoming for our customers. 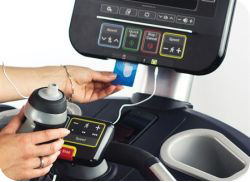 Cardiovascular area – Over fifty stations of fully maintained & up-to-date equipment. 2 Free Weight areas – Variety of different weight dumbbells, cable cross over machine and benches. Fixed Resistance area – Variety of machines of the most popular, all maintained. Health Suite area – Sauna & Steam room, all designed to sweat dirt out from the pours in the skin, and wash them away. Also fantastic for relaxing and unwind after a great workout. Upon signing up to one of our monthly memberships you will receive a free membership card which allows you fast track entry to the gym and will also be your fitness tracker key! Why not stream your most favourite music or videos as you work out? Our free open access WiFi is provided throughout the center, why not even check-in whilst you’re at Acorns Health & Fitness! Our unique fitness tracking system is great for those who really want to keep an eye on what they’re fitness goals. The system can be accessed from your own home via the mobile app! All of the areas are in one fully air conditioned gymnasium with a team of friendly, professional and outgoing instructors. Each have there own expertise and qualifications to suit your fitness needs, we always give regular programme updates to make your exercise sessions progressive interesting and more importantly FUN, all within your membership price. Combine this with the best in the latest Fitness Classes in our Fitness Studios, add the expertise of our fully qualified and experienced staff, and you’ll find out that Acorns Health & Fitness is the premier place for your health and fitness needs. We provide a range of different membership packages to suit all requirements. We pride ourselves on offering excellent facilities at an affordable price. If you need further details please do not hesitate to contact us on 01634 682862. Please be aware that all new memberships must have an induction before use of the gym is permitted. If you were an existing member and are looking to rejoin, you must complete a new induction if your membership expired 6 months ago or more. Become an acorns member today! At Acorns Health & Fitness we have a range of memberships to cater for all lifestyles, take a look at our fantastic membership options today. Signing up couldn’t be easier – simply call up to book your induction and we’ll do the rest on the date of the day you arrive. 4) Complete your induction and you become an acorns member! Our membership prices can be found on our membership page – please click here to view the page. Our prices start from just £20 per month. What times can i come to the gym? Access times to the gym will depend on the type of membership you have selected. Some of our memberships are limited to a certain time slot but most will allow you full access to the gym during it’s opening hours. Keep in touch with acorns on facebook! Track your fitness anywhere, anytime! Find the app on the google play store and Apple Store!